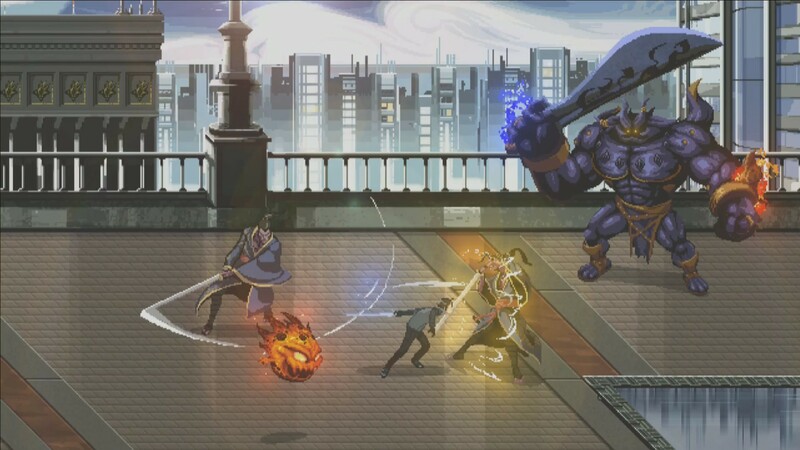 A King’s Tale: Final Fantasy is an 8-bit Final Fantasy Side-scrolling brawler, developed by Empty Clip Studios and published by Square Enix, that released November 2016 for PlayStation 4 and Xbox One. The game starts out with a cutscene of King Regis reading a story to his son, Noctis before he falls asleep but Noctis wants an original story about his father and King Regis starts by going back to when he was younger. The gameplay is starting out as young King Regis in Insomnia with him battling through waves of enemies. There are heavy attacks, light attacks, and shield bashing and when you defeat an enemy, they will drop food and the food will replenish your HP which is underneath your character. You fight Ronin in the beginning with the tutorial and the tutorial will give you the basics of the game. There is a checkpoint system after a wave of enemies which is incredibly useful because of the amount of enemies they throw at you. King Regis also uses the Royal Arms, the Warp ability, Magic, and Armiger just like Noctis in Final Fantasy XV so it’s basically the same concept, just in 2D and pixels. As you go through the different waves of enemies, King Regis will keep talking about Weskham and you’ll find out about that later. The boss battles will be easy once you figure out the weakness of the boss and in the beginning, the game will tell you what moves to use against certain enemies, which is extremely helpful. 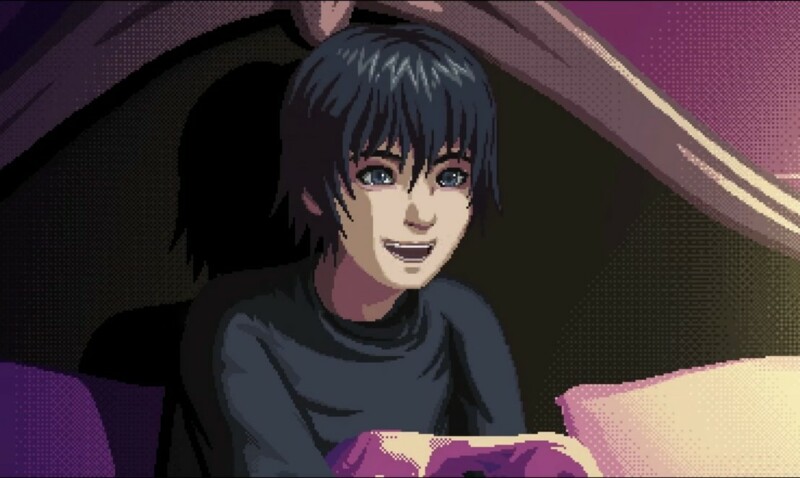 Overall, I love the 8-bit guitar soundtrack and you guys know I love 8-bit pixel games in general so obviously, this one was pretty awesome, especially since it’s Final Fantasy XV. I love the fluid movement and the pretty graphics in the background. Insomnia looks pretty in pixels! 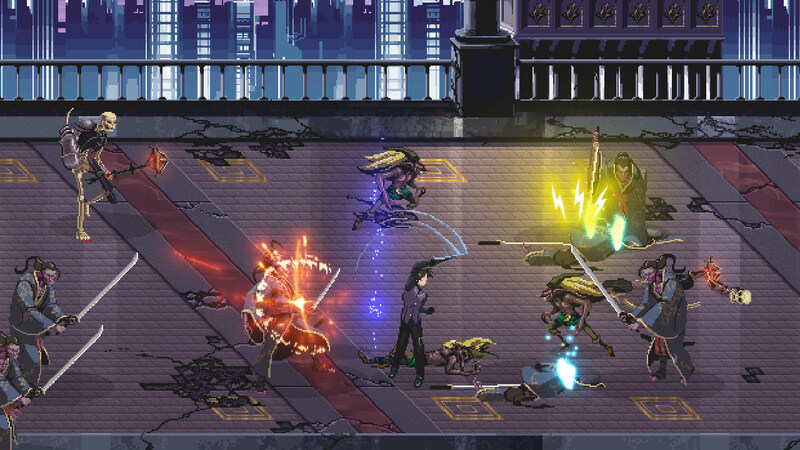 What do you guys think of A King’s Tale: Final Fantasy XV? ← Final Fantasy XV Episode Prompto Release Date + Extended Teaser Trailer!